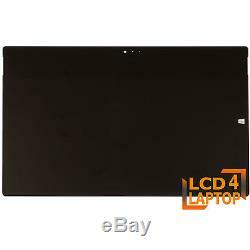 REPLACEMENT 12 MICROSOFT SURFACE PRO 3 1631 TOUCH DIGITIZER GLASS WITH LED LCD SCREEN. Note: This advertisement is for a microsoft tablet. Digitizer galss with LED LCD screen only. Please check the version number of your previous digitizer. Microsoft Surface Pro 3 V1.1. Part numbers given in titles are there only to help you find a compatible screen for your current model number. It is not guaranteed that you will receive the same part number as in the listing title. In addition, pictures in the listing are for illustrative purpose only to show the position of the connector and the fixing points. Buyers Guide for choosing right Replacement Digitizer + Screen for Tablet. Tablet manufacturers are using a variety of digitizer glass when assembling a same model of tablet. Therefore, your tablet model could be available with more than one type of digitizer. In order for the digitizer to work correctly, the replacement digitizer must have as faulty / original digitizer glass. Please make sure your address is correct. Sometimes may take little longer than estimated above. Belgium, Czech Republic, Denmark, France mainland (only), Germany, Hungary, Republic of Ireland, Lithuania, Luxembourg, Netherlands, Poland, Slovakia, Slovenia and Sweden. (Guadeloupe, Saint Martin, Martinique, Guyane, Guyane Française, Réunion, Pointe-à-pître, Capesterre Belle Eau Guadeloupe, Capesterre Belle Eau, Anse Marcel, Gros-Morne, Sainte Anne France, Le Lamentin, St Georges, Iracoubo, Macouria, Tampon, Le Tampon). Belgium, Czech Republic, Denmark, France mainland only. Germany, Hungary, Republic of Ireland, Lithuania, Luxembourg, Netherlands, Poland, Slovakia, Slovenia and Sweden. (Madeira, Funchal, Câmara De Lobos, Caniço, Santa-cruz, São Vicente, Canhas, Azores, Praia Da Vitória, Sao Bras, São Miguel, Madalena Pico, Angra Do Heroismo, Angra Do Heroismo, Rosário Lagoa). (Ceuta, Melilla, Canarias, Costa Calma, Ceuta, Melilla). Australia, New Zealand and USA. We process all orders according to our promise and rely on 3rd party couriers. All our screens comply with ISO-9241-302, 303, 305, 307:2008 as Class 1 Standards. According to these standards 2-5 dead pixel are acceptable. To learn more about dead pixel policy, please see the following links. Defective or damaged item during transit must be reported within 48 hours in receipt. Question: I have just bought the item and do not need any more or bought the wrong item; can you cancel or stop the order straight away? We will reply messages as 1st come 1st served basis and there may be other messages in queue before your message, it is not possible to jump and see your message 1st. Please do not send 100s of messages/emails as it will just delay our response time to other customers. Question: I ordered a screen with specific part number and you have sent me the wrong screen different part number? So, it is very hard to get hold of the same part/model number every time. 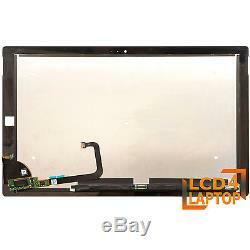 Therefore the screen we will send may have different model/ part number but will fit and work properly with your laptop. Question: Do you sell genuine screens, and what is the quality of the product? There are only few manufacturers who make screens. 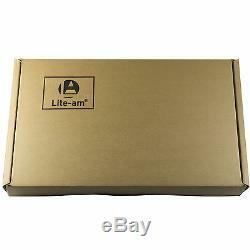 Question: I ordered screen for my SONY or Apple laptop and the screen you have sent is LG, AUO etc. Most of the laptop manufacturers do not manufacture screens by themselves like; Sony, HP, Dell, Advent, Acer etc. They use the screens made by some other manufactures like Samsung, LG, AUO, Sharp, ChiMei Innolux, Chunghwa, Toshiba, IVO, Hannstar, so dont surprise if you received screen made from above manufactures instead of Sony or Apple etc. Question: I ordered a screen for my laptop and the screen you have sent is the wrong one? Laptop manufacturers are using a variety of screen panels when assembling a same model of laptop. Therefore, your laptop model could be available with LED back light or CCFL back light. Or it could be available with different screen having different size of the connectors. Question: Do you provide a VAT invoice? We can offer you professional service, top quality products and customised prices as per your order size. We can supply from a screen or a pallet to a full container. And we will get back to you with the trade price. Question: What happens if the goods are damaged in transit? If you have received goods damaged in transit, you must report to us within 48 hours of receipt. We cannot accept any damage claims outside of this time frame. Question: I ordered a screen of yours and now the screen is no longer required. Can I return this back? Question: The screen has developed a manufacturing fault, how can we proceed now? Our customer's satisfaction is important for us and we strive hard to provide quality product and service. If you have any other questions / concern please don't hesitate to ask. We will do our best to provide a quick solution to your problem. We are open for suggestions to improve and we request you to give a chance to help you before you leave a negative or neutral feedback. The item "Microsoft Surface Pro 3 1631 Tab Touch Screen TOM12H20 V1.1 LTL120QL01 003 001" is in sale since Tuesday, March 15, 2016. This item is in the category "Computers/Tablets & Networking\Computer Components & Parts\Laptop Replacement Parts\Laptop Screens & LCD Panels". The seller is "lcd4laptop" and is located in London. This item can be shipped to all countries in Europe, United States, Canada, Australia.